Designed for single or dual pivot short pull brake calipers, the TriMax Aero Brake levers utilize forged alloy blades and a single bolt clamp with full internal cable routing. 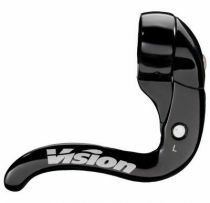 It features an Ergonomic shaped with a left and right side specific design. Includes Vision Drag-On brake cable set.